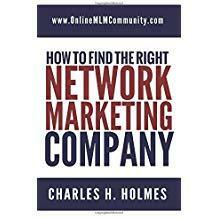 If you want to be successful in network marketing for the long haul, you have to become a LEADER. Study the top earners in our industry and they are ALL leaders. Yes, they have different personalities, backgrounds and leadership styles, but their leadership qualities are pretty much the same. How can you become a MLM Leader? Let me start by telling you that it is possible. Anyone CAN be a leader if they choose to. But it won’t happen overnight. Like anything in life, it takes time to develop your leadership skills and be an effective leader. People become leaders because they CHOOSE to be leaders. It never happens by accident. You can’t make anyone be a leader. A duty position or job position does not make you a leader. Neither does your title or pin level in your MLM Company. You are a leader because of your actions, your daily habits, your attitude, your mindset and your decisions. # 1 Your Actions – Actions speak louder than words. I’ve met countless people who talk a big game, but if you were to look at their calendar, you would see that they are only “talking a big game” but they aren’t doing anything to support their talking. A MLM Leader makes sure their actions speak louder than their words. They are more busy DOING things than they are SAYING things. They’re constantly talking to people, showing the plan, following up, sponsoring people, getting customers and building a team. They’re in the trenches day in and day out building their business. They’re setting an example for their group by what they do, not what they say. # 2 Your Habits – Our habits will ultimately determine whether or not we become successful in life and in business. Show me someone’s habits and I can tell you whether or not they will be successful in this industry. In network marketing, habits like personal growth, reading daily, filling up the calendar with money producing activities, setting goals, and being consistent will ultimately determine your success. MLM Leaders have good habits. They do all of the things I just mentioned. People who quit do the exact opposite. They have bad habits. # 3 Your Attitude – Your attitude will determine your altitude. I read that somewhere many years ago and it is so true. MLM Leaders have a Positive Mental Attitude. They do not let temporary failure and temporary setbacks defeat them. They get no shows and people quit their team, but they don’t let these things get them down or keep them down. They look for the positive in things and they are a pleasure to be around, because they are so positive. This attracts others into their business and causes others to want to be around them. The bottom line is that leaders have a good attitude. And they guard their attitude like their life depends upon it. # 4 Your Mindset – MLM Leaders have a BUSINESS mindset. They look at their business as an asset that has EQUITY. They know that Rome wasn’t built in a day. They treat their business like they have ONE MILLION dollars invested in it. They also have realistic expectations about how long it takes to build a successful business. # 5 Your Decisions – MLM Leaders base ALL of their decisions on the LONG-TERM. They are not trying to get instant gratification or instant results. They have a vision for their business and everything they do or don’t do is based upon that vision. They make business decisions that are logical, not emotional. They don’t let hype affect them, nor do they let temporary defeat set them back. Simply put, they make business decisions. In summary, if you want to become a MLM Leader, you have to think differently about your business than most network marketers do. You have to make sure your actions match your words. You have to develop good habits. You have to develop a Positive Mental Attitude. You have to develop a business mindset. And you have to make business decisions that are logical, not emotional. The beauty of this is that anyone can do it. All it takes is a decision and TIME. It won’t happen overnight. But within a few years, anyone can really develop their leadership skills and mind-set and become a person worth following. What are your thoughts about becoming a MLM Leader? Leave a comment below to let me know what you think. I look forward to hearing from you. I definitely think it is a person’s attitude that sets the tone for others to want to follow you. No one wants to follow someone who is negative, demanding, power hungry, or self centered. People are drawn to people who are people oriented, pleasant, and positive. If you are anything less than those three things, people will begin to see you as more of a dictator than a team leader/player. Great post Chuck. Leadership is a never ending learning experience. I believe that attitude is one of the biggest parts of leadership. I always recognize the best leaders when I see they are willing to jump in and do the hard work showing those under them that they are not above doing so. I also agree that reading is one of the best ways to grow into a great leader.